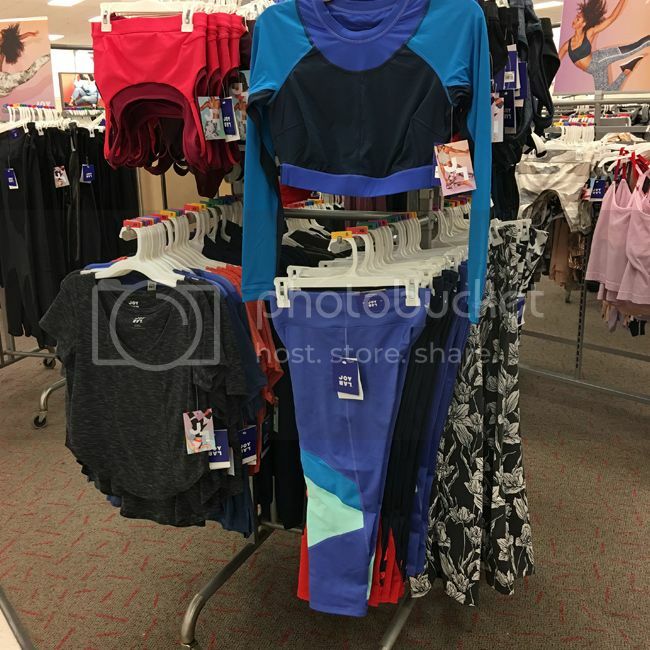 As both a frequent Target shopper and fitness enthusiast, I was really excited to shop Target's new activewear line called JoyLab. 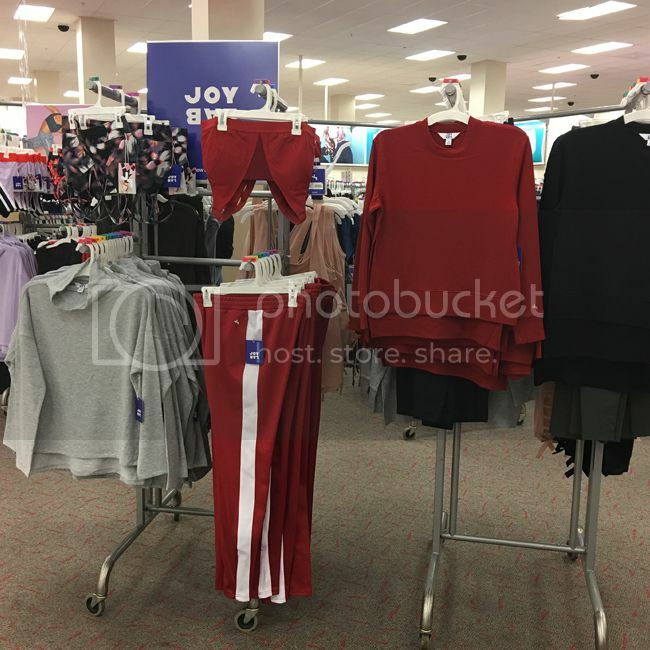 A day before the October 1st launch, I happened to be browsing the Who What Wear department when I spotted a few new JoyLab arrivals in store. The new JoyLab collection was aptly displayed front and center with understated signage near the C9 apparel. 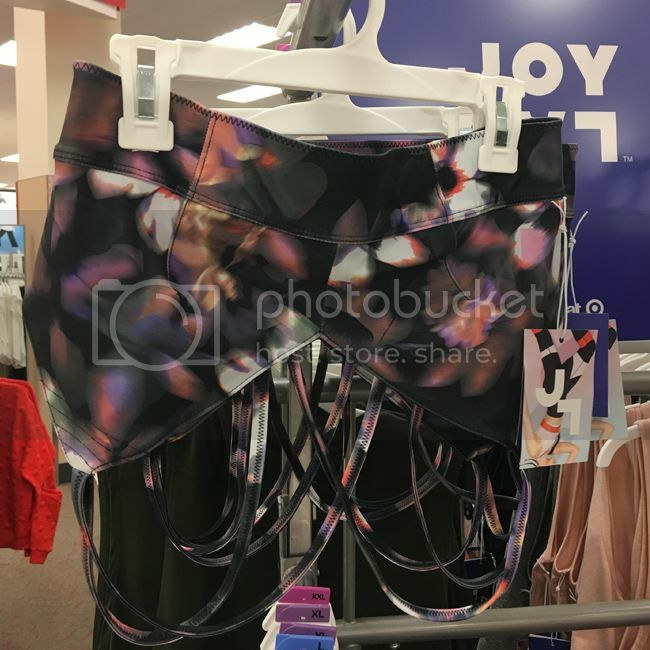 As a sucker for matched sets (especially in floral prints), I appreciated the floral sports bras and coordinating leggings. 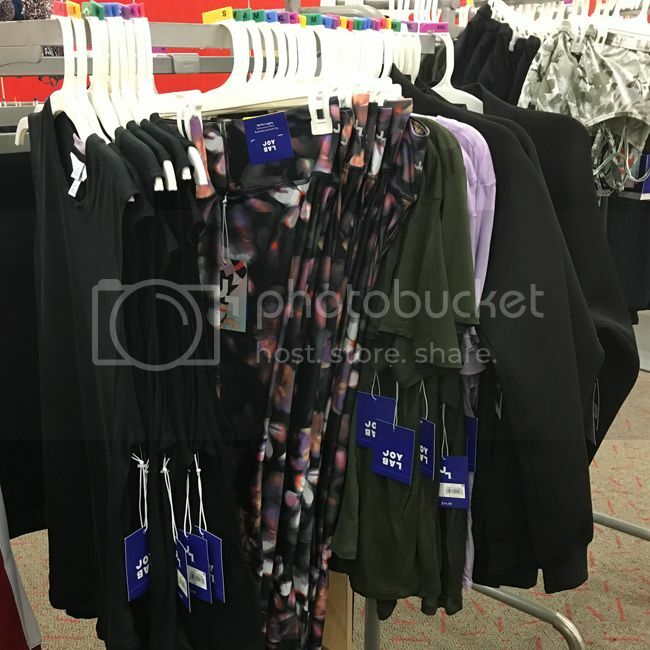 Also in store were vented sweatshirts, bomber jackets in technical fabrics, lightweight tank tops, and fun details such as elbow cut-outs, strappy back sports bras, smart phone/key pockets, and lace-up leggings. Everything I inspected felt soft and stretchy, which is key for comfort. As far as colors in the collection, they ranged from bold brights to muted pastels and deeper autumnal hues. 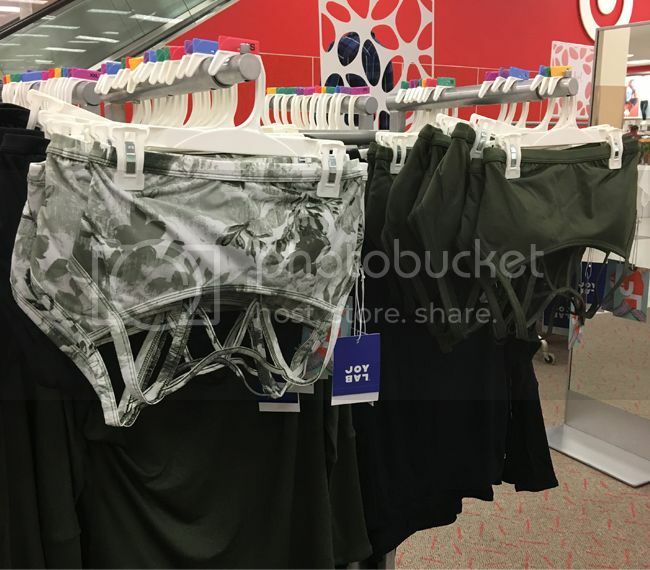 Here's a look at my store's selection. Bright colors and color blocking bring a fashion element to the line. Strappy back bras like these are cute and comfortable enough to make me ditch my regular bras. These are the kind of pieces that work for casual post workout activities and busy weekends. This strappy-back sports bra ($19.99) is on my wish list. It is lightly padded, has moisture wicking fabric, and runs true to size. The collection below had a barre/ballet vibe with neutral colors, ruched details, vented pullovers, and lace-up leggings. I'm eyeing this pullover ($24.99) with vented side seams in every color, as it's perfect for layering when temperatures drop. 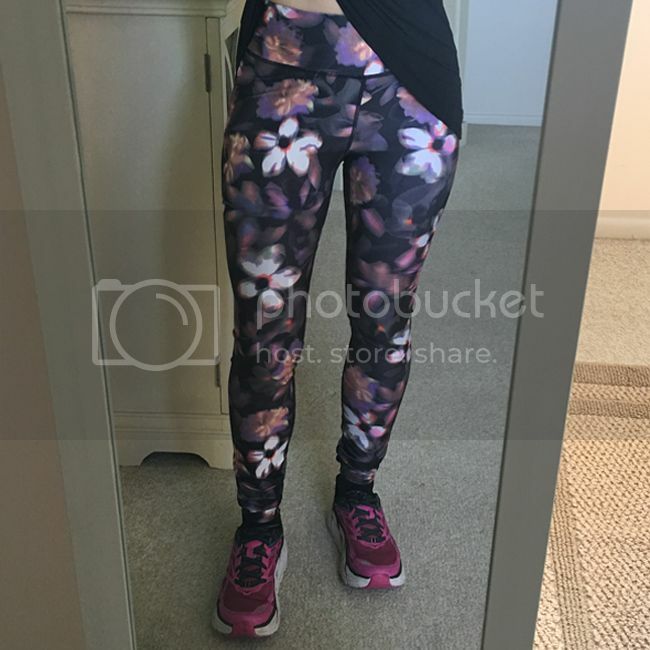 Unfortunately, some of my top picks were sold out in my size, but I was able to buy a pair of blurred floral leggings ($29.99). I'm usually a size small, but I'm wearing a size medium because I found this style to run small, especially in the waist. 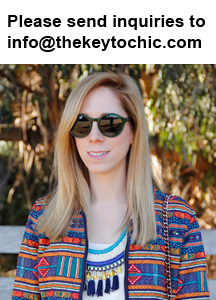 I love the flat seams, hidden key pocket, and colorful print. This style is stretchy but also supportive. I wore them on my 9-mile morning bike ride today, and I am happy to report that they are both breathable and comfortable. 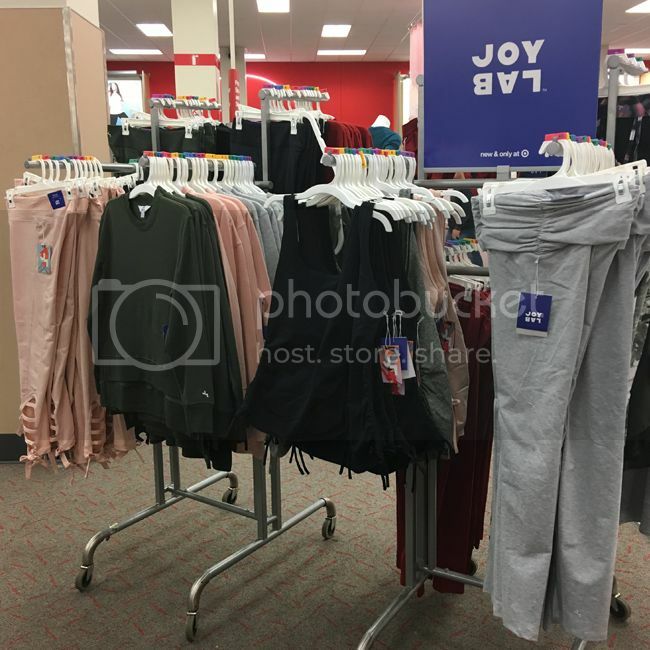 I'm looking forward to seeing more jackets, backpacks, slim joggers, track pants, and coordinating sets from JoyLab as we progress into the fall/winter season. 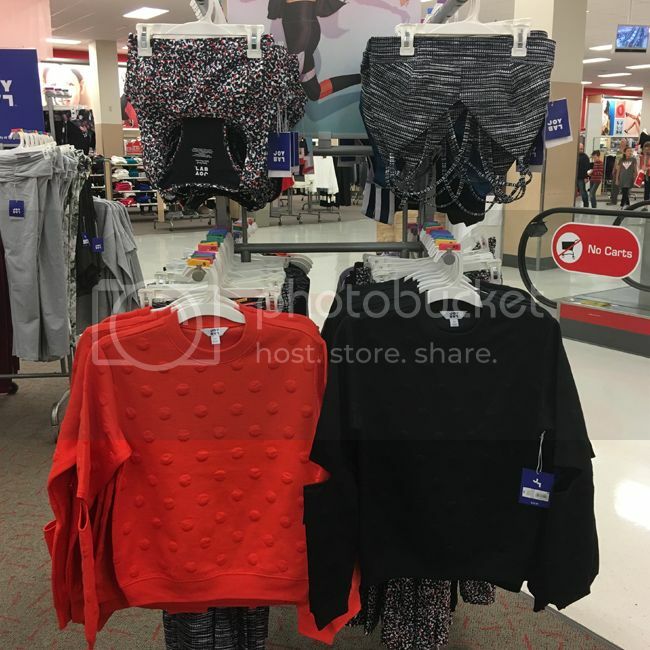 January 30, 2019 update - Love Target Style? 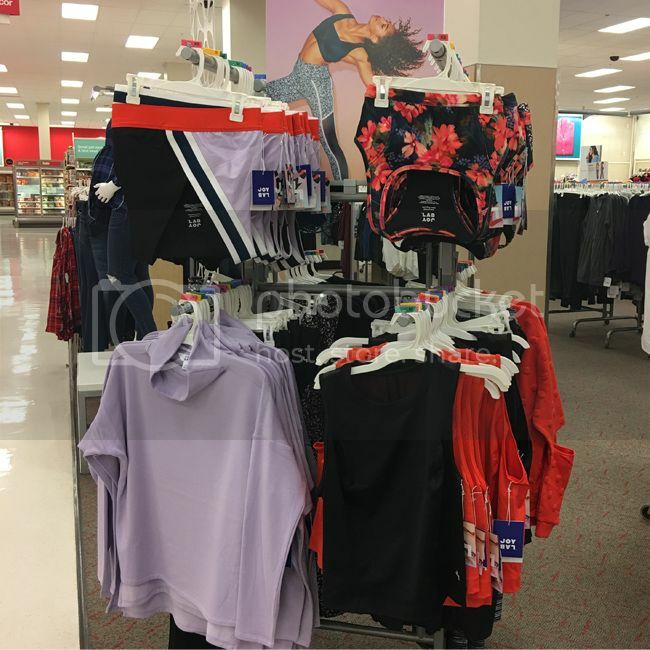 See my Kona Sol at Target swimwear review. Keep up with my shopping updates and see new #TargetStyle arrivals every week on my Insta Stories @thekeytochic.